I read this article and found it very interesting, thought it might be something for you. 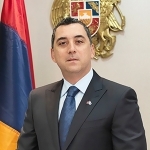 The article is called Armenian Citizens and is located at https://www.armenianconsulatethailand.com/armenian-citizens/. We hope you enjoy your visit to Amazing Thailand as described by the millions of tourists and the Thai Tourism Authority. The Kingdom of Thailand is a fascinating country with very hospitable people. Thailand features an interesting array of Buddhist temples and culture, scenic beaches, beautiful islands, cosmopolitan and business savvy cities and spectacular countryside. Similar to Armenia and Armenians, Thailand is also rich in history and culture and the Thais are appreciative of their local traditions and festivities. You will also notice and try the delectable Thai cuisine which is rich and tasty and boasts a wide selection of traditional dishes. Socially, Thailand is vibrant and dynamic with a society built on family and business values, cosmopolitan and culturally diverse cities and high standards of private hospitality, healthcare and education. What is most amazing about Thailand is it’s people who are known worldwide for their warm friendliness and welcoming smiles giving the Kingdom the epitome “The Land of Smiles”. 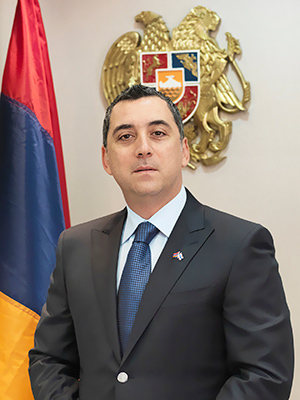 If by any chance Armenian citizens travelling to Thailand encounter any kind of distress during their stay, they should keep the Consulate of Armenia informed so that necessary measures are undertaken to make sure the right procedures and provisions are put into place for assistance.